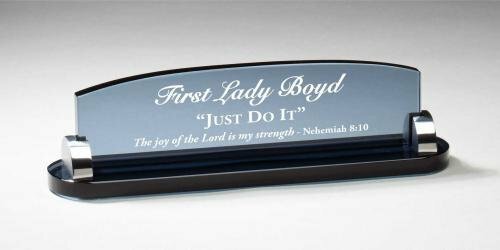 Desk accessories include name plates, business card holder, pen knives and a whole assortment of indespensible items. 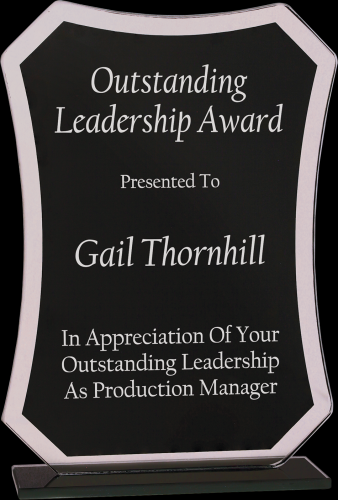 This dark gray glass name bar will make a lasting statement on the recipient's desk. Silver accents complete the elegant look. This item is deep sand etched for a rich look and feel, with up to 3 lines of personalization.